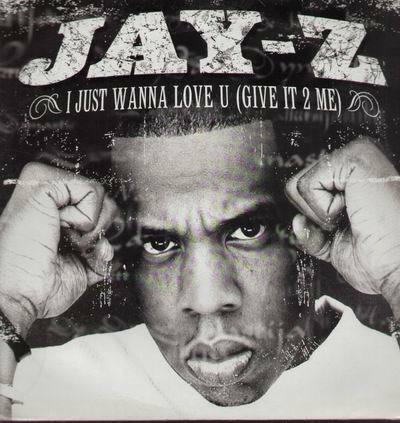 "I Just Wanna Love U (Give It 2 Me)" is a song by Jay-Z, released as the first single from his 2000 album The Dynasty: Roc La Familia. It is produced by The Neptunes and features a chorus sung by Neptunes member Pharrell as well as Shay Haley and Omillio Sparks. The video for the song contains cameos from rappers Beanie Sigel, Lil' Kim, Jermaine Dupri, Damon Dash, Lil' Cease, Memphis Bleek, and actor John Witherspoon. Its beat contains samples from "I Wish" by Carl Thomas and "I Want You Back" by The Jackson 5 (the latter would be sampled by Jay-Z again the next year in "Izzo (H.O.V.A. )"), while its chorus contains interpolations from "Give It to Me" by J. Johnson (Rick James). A music video directed by David Meyers was made for "I Just Wanna Love U." The drums for "I Just Wanna Love U" were made with Sony ACID Music Studios.